He is daring, nervy, and clever. 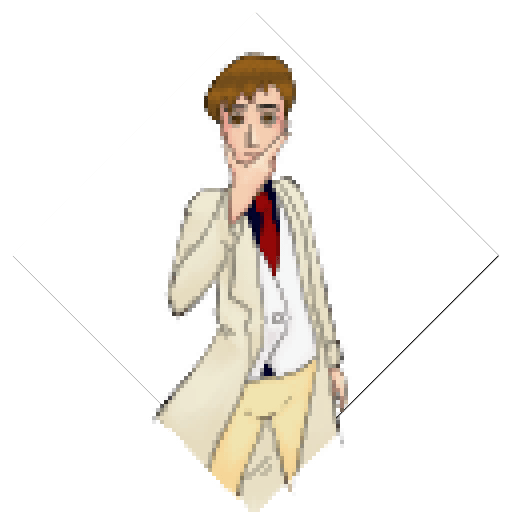 Kevin is a sleuth, with super stealth, he is intense, passionate, and light-hearted. He, Byron, and Mario are a chosen trio of heroes; this trio is currently being spied upon by a duo of A.N.G.E.L. agents names Isabel and Art. Kevin is a combed forward hairstyle high-school freshmen with light hair. He is quite good at sneaking around and investigating any case, though he can be a bit of a conspiracy theorist.